Virtual Private Networks may allow employees to securely access a corporate intranet while located outside the office. They are used to securely connect geographically separated offices of an organization, creating one cohesive network. Individual Internet users may secure their wireless transactions with a VPN, to circumvent geo-restrictions and censorship, or to connect to proxy servers for the purpose of protecting personal identity and location. However, some Internet sites block access to known VPN technology to prevent the circumvention of their geo-restrictions. If you’re reading this review you’re I guess interested in a VPN solution and trying to figure out which to pick in an ongoing growing list of VPN providers. Its not easy to find the best among providers all claiming the same things like speed, safety and locations. To make your search for the best a little easier I will try to sum up some issues related to normal internet use and explain their importance in relation to your safety. 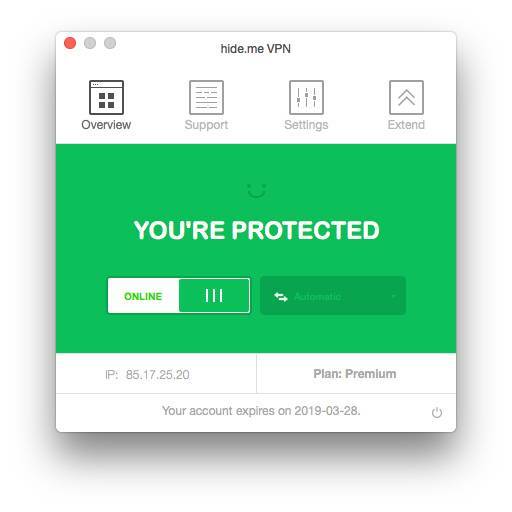 Hide-me VPN collects the following data: Connection time, Connection duration and bandwidth used but NO data is collected which could be linked to a user’s online activity, No IP logs, so top marks for Hide-me VPN. This is the tricky part explaining the VPN process. A VPN creates a secure tunnel using most powerful VPN protocols – hides your original IP behind one of its own – encrypts all your communication and passes through the secure tunnel allowing you to surf the web freely and anonymously. 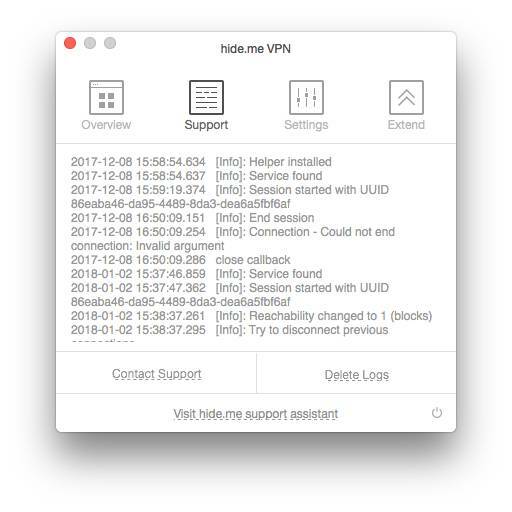 Setting up Hide-me VPN is piece of cake. Simplicity all the way. A few slides take you through the setup-proces to the final preferences and settings sheet. If you want to make use of an OpenVPN tunnel you’ll need a third party application like Viscosity or Shimo ! 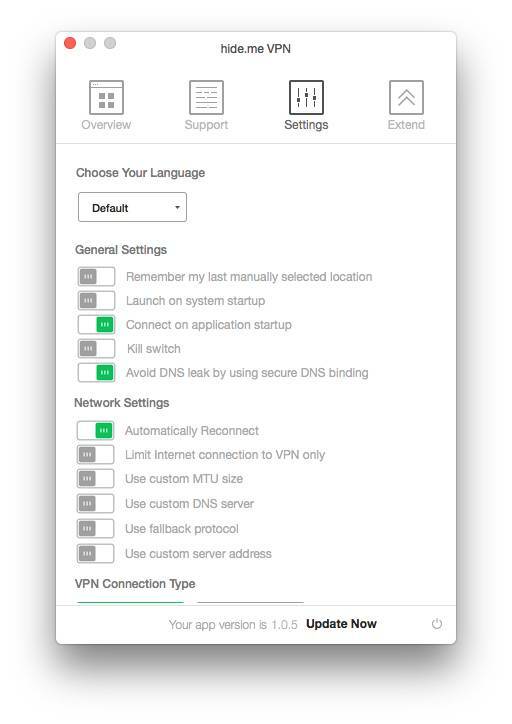 **Although not all the protocols are available for each platform, configuring a VPN connection will not be an issue. So which protocol to use ? IKEv2 is also a very good (secure and fast) protocol (if open source implementations are used), especially for mobile users who may even prefer it to OpenVPN thanks to its improved ability to reconnect when an internet connection is interrupted. For Blackberry users, it is pretty much the only option available. In our opinion the bold marked protocols are the ones to use. SOCKS Proxy: SOCKS proxy is coupled with hide.me VPN, so users enjoy a completely different level of security. This combination of SOCKS and any supported application gives you the absolute protection against any kind of IP leaks. 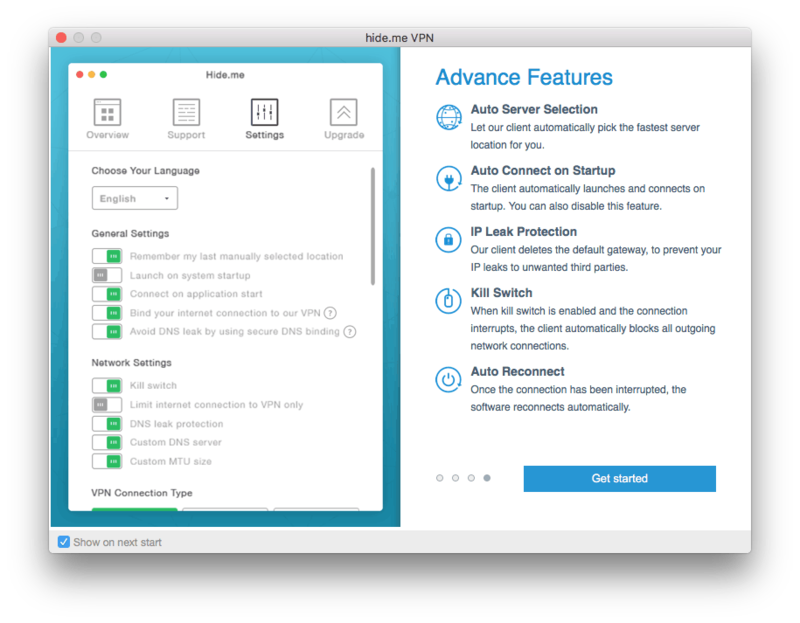 They engineered this feature to perfection and have coupled the SOCKS proxy with their VPN to make it the fastest possible solution available. Once combined with a VPN connection, SOCKS is able to reduce the Round Trip Time (RTT) significantly improving your Maximum TCP Throughput which has a very significant impact on the speed of your connection. Their DNS leak protection feature functions quite uniquely making a DNS leak impossible and same case is with our IP leak protection feature. So we have one problem solved.. choose a No Logging provider. Now we get to find the fastest VPN. A ‘fast car’ costs money and a really fast VPN is likewise not cheap. We have an available internet speed of 200-250 Mbps which is fast if I may say so. The speed of a VPN transmission is restricted by chosen VPN-Tunnel type ( OpenVPN, L2TP/IPsec, PPTP, SSTP, SoftEther and IKEv2 and IKEv1.) and encryption level. Also your own ‘router’ may play a role in your VPN connection as only the more expensive and newer models support top speed. We have tested different protocols with Hide.Me and they all performs best ever !! We get speeds up to 200Mbps or more, which is the highest we have ever measured testing VPN providers. **Connection stability was perfect! No drops or lost connections whatsoever. Hide-me VPN has impressed us with an absolutely solid performance. Its the fastest VPN tested by us, given the used locations and protocols. The easy interface and setup takes even novice users through the complete proces. 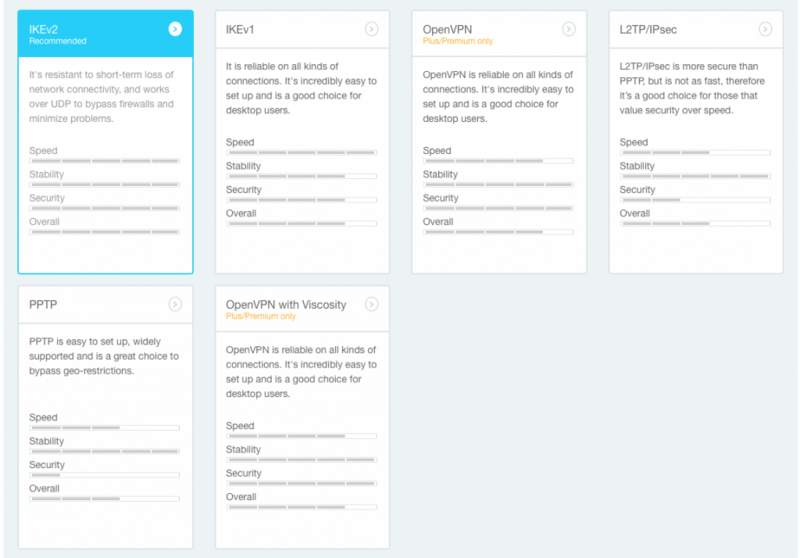 OpenVPN is the best solution for every VPN but needs a third party VPN client. Having tested and measured Hide-me VPN we feel confident this is the fastest VPN available. The multiple connections and other extra’s make Hide-me VPN a VPN to be considered. Support was tested and response was quick ( see graph ). All good things in life cost money, and if you’re looking for the fastest safe and good support VPN look no further VPN is your best bet.